Do you ever feel there are a lot more fun things for little kids today than there when you were a kid? I sure do! Other than public parks, we didn't have all the activities kids have today. Growing up, our McDonalds didn't even have indoor seating, now they have that plus a play land! I remember having to walk or bike miles to go to the public pool, now splash pads are popping up everywhere. It isn't fair! But, I guess I can enjoy these fun, new activities now through the eyes of my grandchild. Look how happy she is in the photo below! 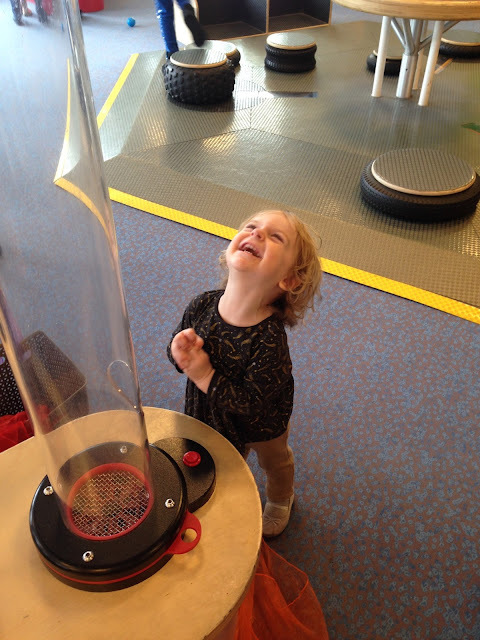 She is learning about wind at the DuPage Children's Museum. She loved putting a scarf in the wind tube and watching it blow out the top. 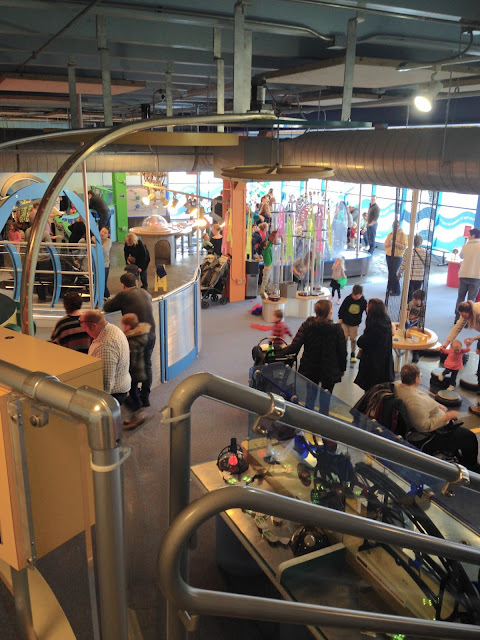 The DuPage Children's Museum is located in the city of Naperville. It is a place where children can come to play, but learn about art, math, and science too; although they are usually having so much fun, they don't even know they are learning! We were there on President's Day and it was so crowded! We had difficulty even finding a parking space. I highly recommend not going on a holiday when everyone is off of work and school. 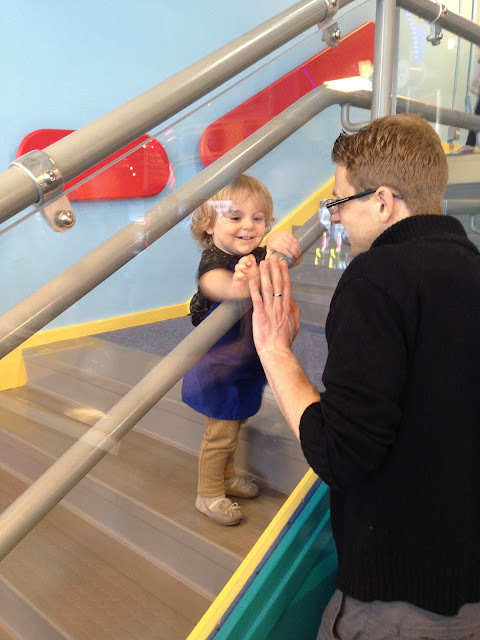 Of course when Alethea saw a set of stairs, she had to climb them. She got a kick out seeing her dad's hand through the plexiglass. 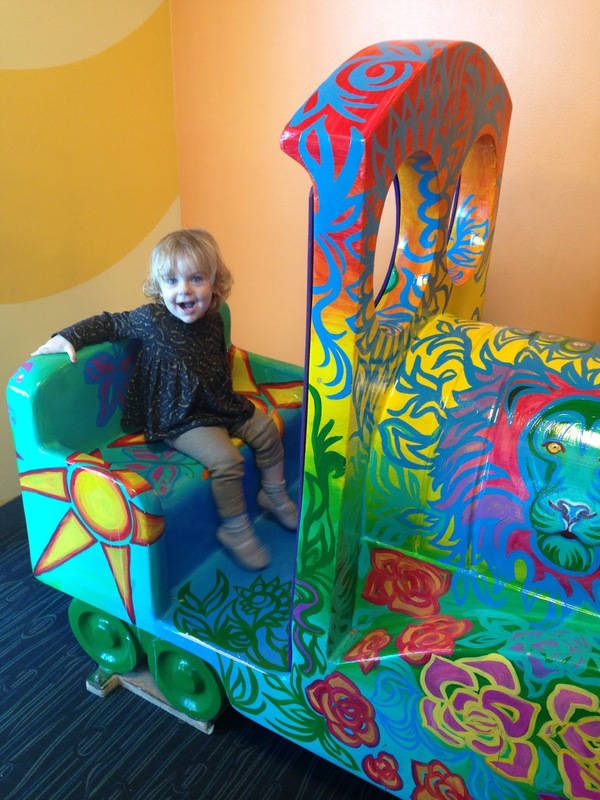 There were several structures for kids to climb onto like a wooden boat and this train. 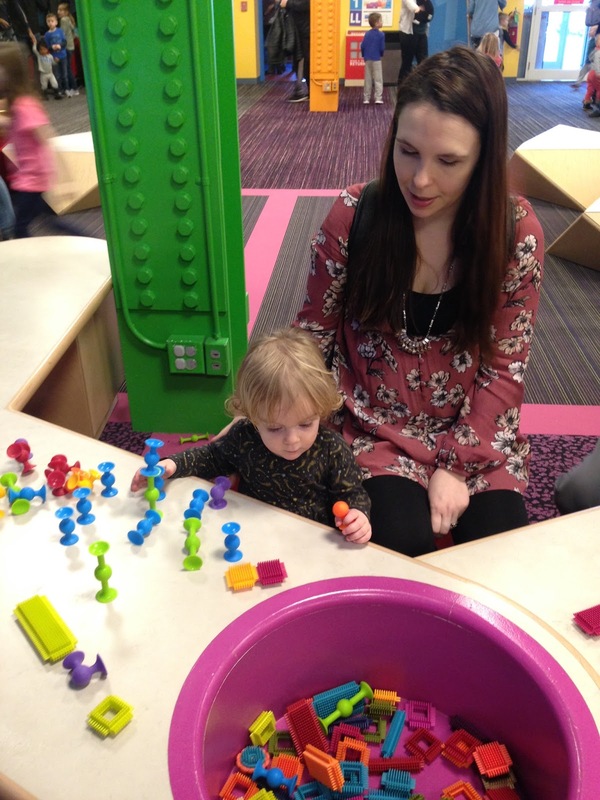 Because of the crowd, little Alethea had to squeeze in some of the play stations to participate. 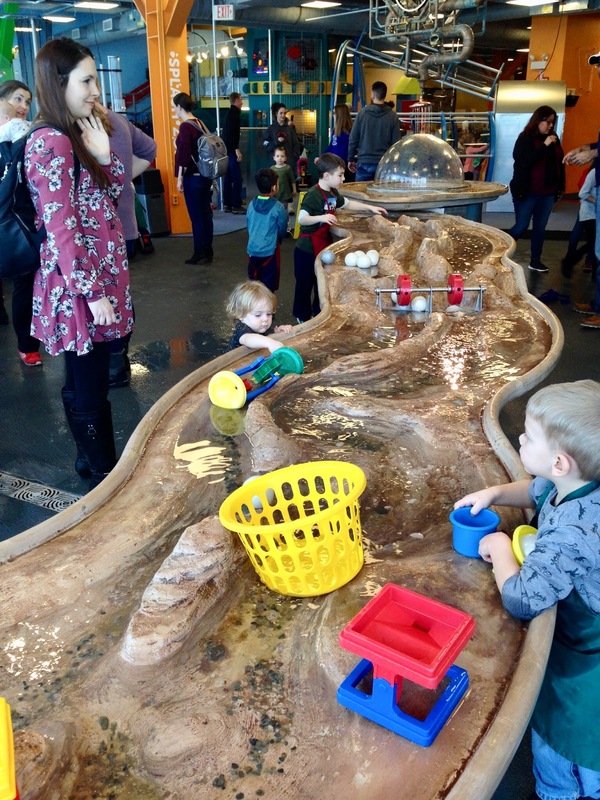 Ashley, Alethea's mom, said that the water exploration area was Alethea's favorite part of the museum. But of course she had to get covered with a vinyl apron before being allowed to play, or she would have gotten her clothes soaking wet. Alethea had so much fun playing all the water activities! The DuPage Children's Museum is guided by three core beliefs: 1) Respect for all children and their ability to learn, 2) The power of play as a basis for constructing knowledge, and 3) The importance of child-adult learning partnership. Here Alethea is learning how much energy it takes to create power. Of course, she is a little young to understand pedaling, but she enjoyed getting up on the bike and trying. Alethea really loved walking on this wavy bridge. 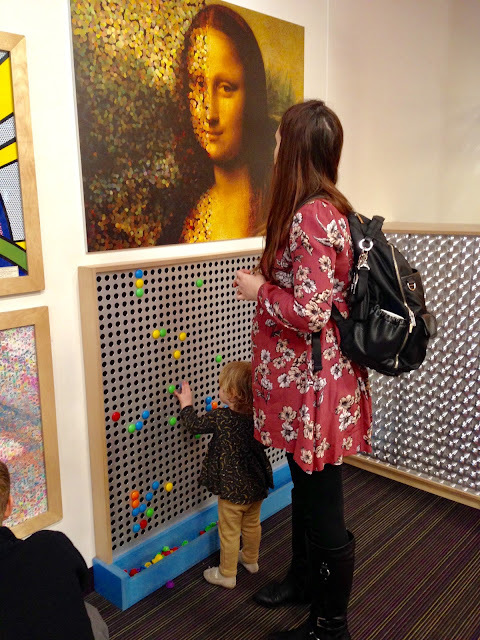 The DuPage Children's Museum focuses their exhibits on science, math, art, and where they intersect. According to their website, "These areas are ideal vehicles to encourage critical thinking because they are process oriented, relate to everyday life, and naturally interest children." This is an overview shot of the 'Awesome Energy' part of the museum. 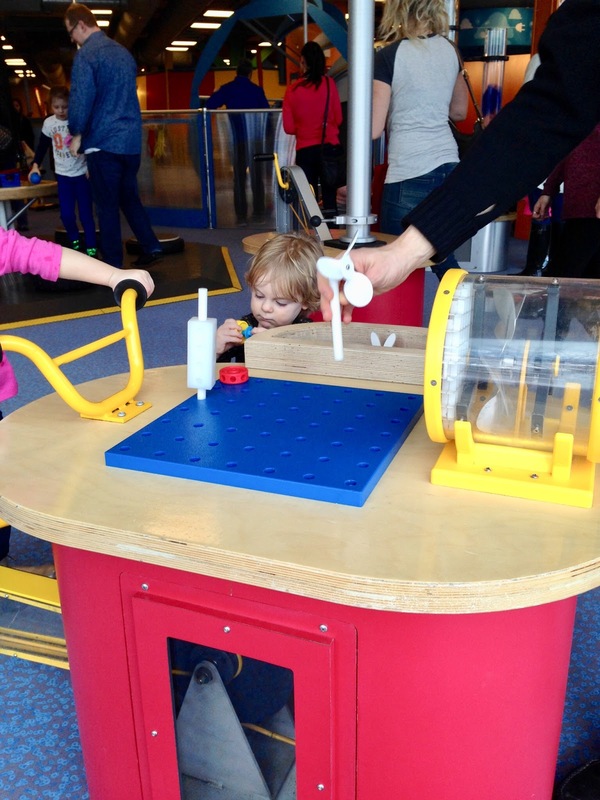 Here is where children explore the forces that power our world: Air, water, and electricity. The "Creative Connection" provides art centered exhibits that "draw inspiration from the science and math principles of light, shadow, color and positive and negative space." As an art lover, I really enjoyed this exhibit! Here Alethea is learning basic physics in the "Make It Move" exhibit. 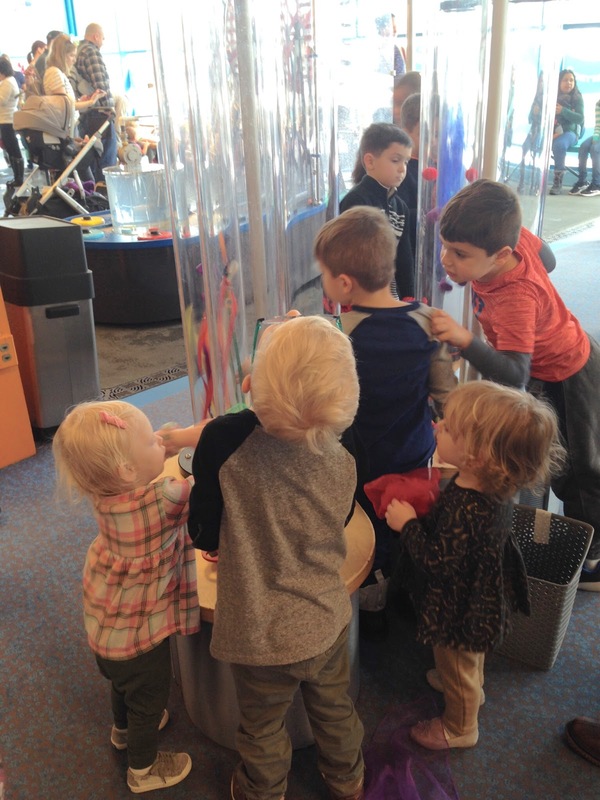 In this exhibit children "roll, bounce, slide, and spin objects to discover the energy of motion and find out what factors create change." Of course, it was President's Day so we had to do our annual tradition of "Breakfast At Buttermilk"! Buttermilk is my FAVORITE restaurant. Every time I visit my kids, we go have to go there! We learned from our experience last year, to get there earlier to beat the crowds, and we were so happy we did! There was no wait for a table at all, but they sure were lining up when we were done eating! The food is so fresh and delicious! Every time I go I try something different. 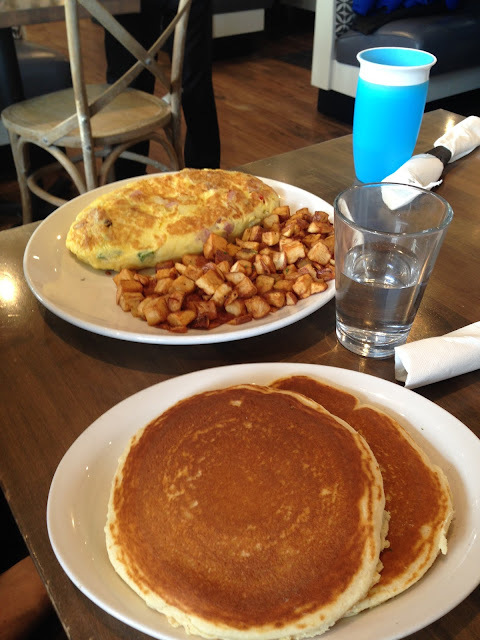 Ashley on the other hand orders the same thing every time: her favorite omelet "The Frenchie" and gluten free pancakes. I decided to try this beauty for a change and I am so glad I did, cause it was delicious! It was also very huge. I ended up taking it home and getting three meals out of one plate. It's called "Stuffed Breakfast Biscuit". 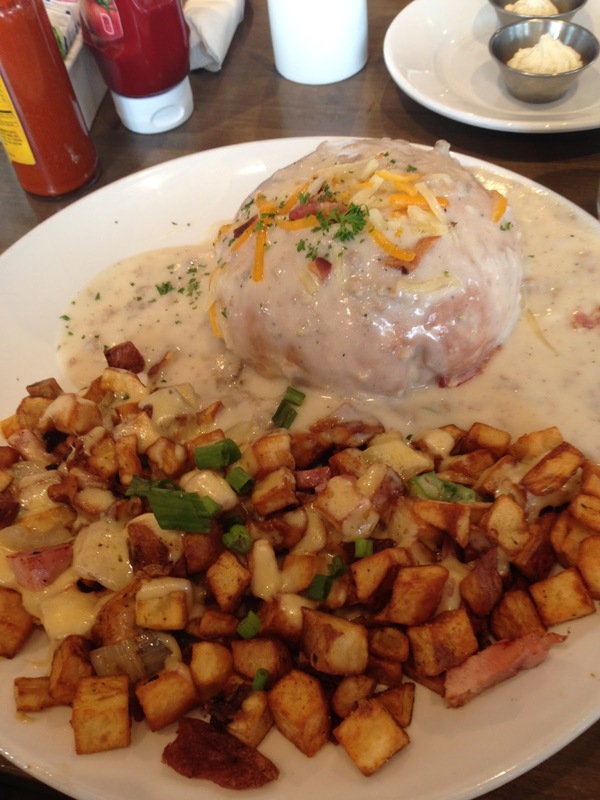 It is a freshly made buttermilk biscuit stuffed with cherry wood smoked bacon, scrambled eggs, sausage gravy, cheddar jack cheese, topped with more sausage gravy, cheddar, and crumbled bacon. It has farmhouse potatoes on the side with sautéed peppers and onions. IT WAS SO GOOD! I liked it so much, I may have to be like Ashley and order this every time I visit Buttermilk. 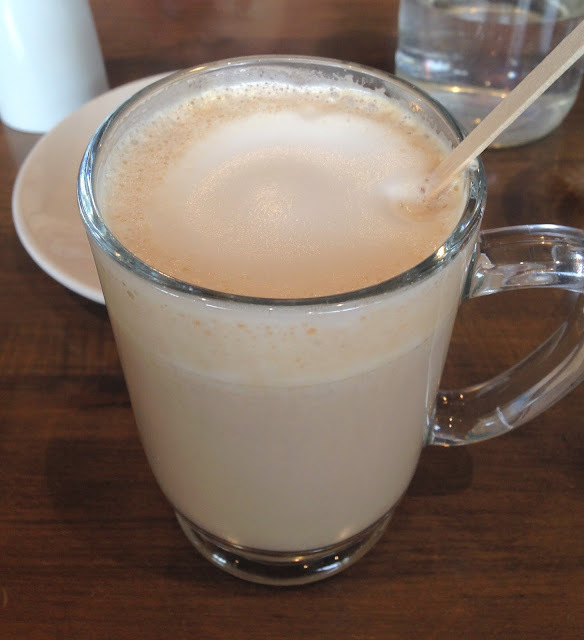 The one item I ALWAYS order is a Toasted Almond Latte! Yum, it is so good! Best latte I've ever had anywhere! So what about you? Do they have Children's Museums where you live? 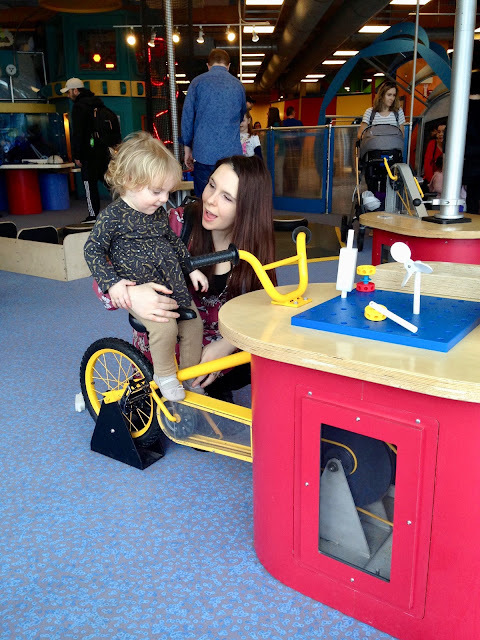 Do you take your children/grandchildren to Children's Museums? I'd love to hear from you! 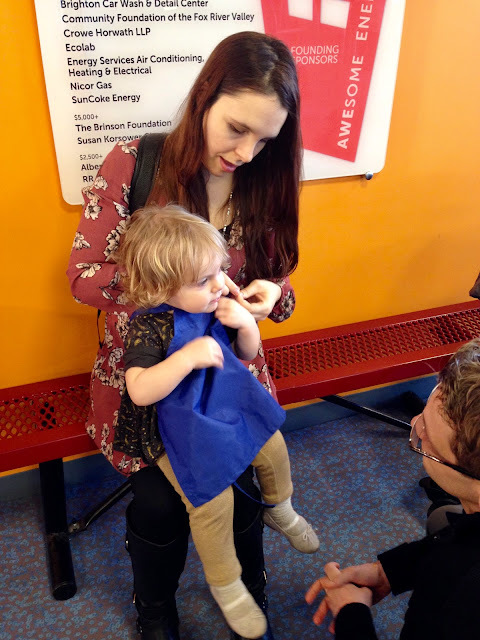 I agree, kids nowadays are so lucky to have these discovery childrens museums. We're also lucky to have one in our small town and my kids enjoyed them when they were younger and of course the water feature was their favorite too! Alethea looks like she's having so much fun! And the food looks delicious! Kids are so spoiled today compared to when I was a kid, but I suppose that's a good thing. Yes, Alethea had a blast! I grew up (and spent all my life untiljust 6 months ago!) only a few minutes from there so this was fun to read, Amy! Also, Buttermilk used to be one of my favorite restaurants too although I hadn't been there in several years. Thanks for the post! Oh, that's so interesting! In researching for this post, I was surprised to learn that this museum is 30 years old! 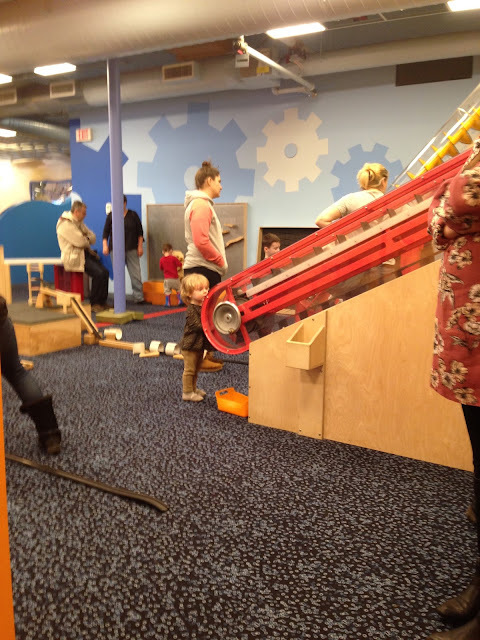 That would be around the age of my own kids, and I don't even remember Children's Museums being around back them. To clarify, the museum itself was not around when I lived in Illinois (I'm 55) but I grew up close to its location. But, yes, even 30 years old is quite old for a museum like this! So glad your granddaughter enjoyed so much! 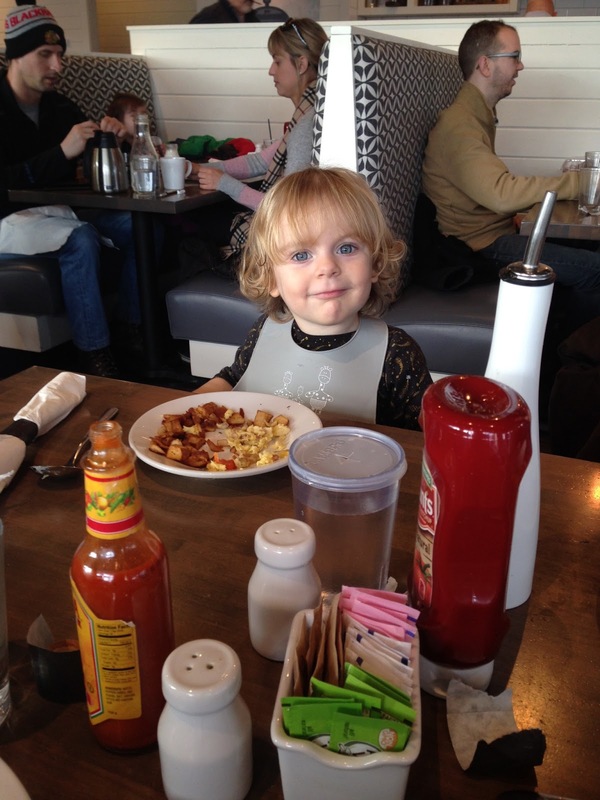 Looks like Alethea had a lot of fun! 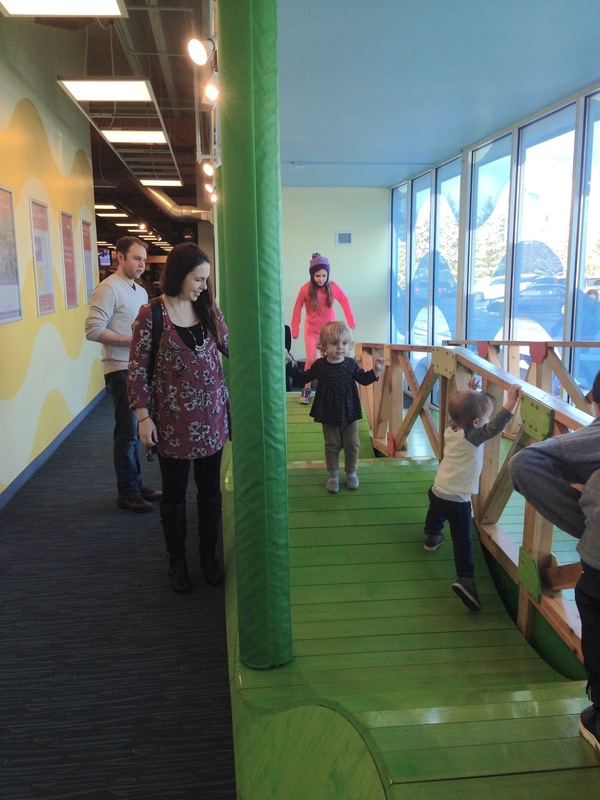 We haven't been to a children's museum in a long while and really should visit the Atlanta one. Never have been to it in all the years we have lived in the suburbs here. Yes, Alethea had a blast. 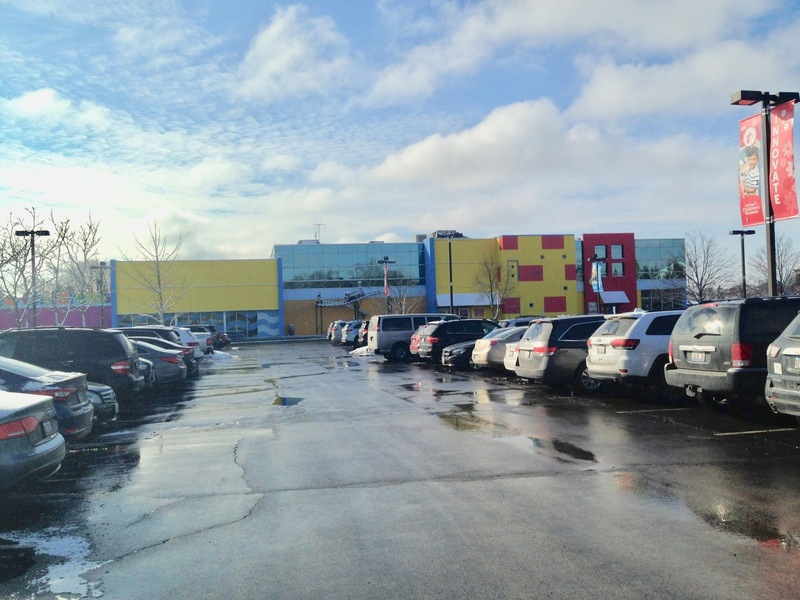 You know, there's a Children's Museum in my hometown too. I've never taken Alethea to it when she visits either. I probably don't because I my town is so much smaller than hers I'm worried it may not be as good as the ones in her area. Yes, they had a lot offer. Thanks Sue! What a great fun/learning environment for kids Amy! I'd love to take Sophia there because she'd have an absolute ball. You're so lucky to be spending time with your family - it's just the best isn't it? Love my grandgirls! Yes, it was a fun learning experience. I love being with my family. Thanks for visiting. This looks like so much fun! My boys love water play so they would really like this, haha! This is a good reminder I need to take them to the museum again, it's been a while! It was fun! It's interesting how much kids love to play in water isn't it? That latte looks so good and wow, that Stuffed Breakfast Biscuit looks DELICIOUS and I've never seen anything like it!! 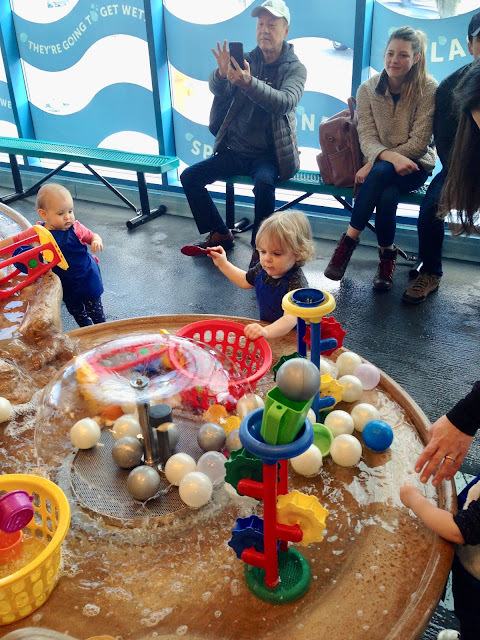 That water play area is pretty darn cool, too! That latte IS good! Best I've had anywhere. And everyone says that about that biscuit. When I put pictures of it on FB everyone wanted to know what it was.